Andrew Tait presented at the International Executive Seminar in Effective Leadership and Governance hosted by George Washington University’s Graduate School of Political Management. 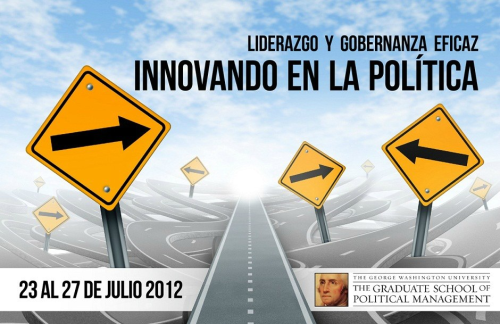 The theme of the conference was "policy innovation". Andrew’s talk covered confrontation analysis and the development of political strategy. The conference was attended by senior politicians, civil servants and representatives from NGOs.